Mayor Friday is the first Game of Tour Bueno. 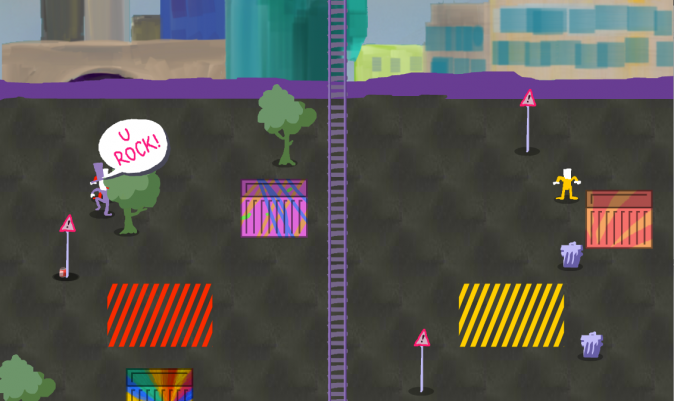 Inspired by the "Freitag Tower" in Zurich we have developed a multiplayer game with Dragica Kahlina in which, by order of the mayor, you must build a new tower out of containers. You win by building the highest tower, the player with the smaller tower will be kicked out of the city. To see the story behind, go and watch the episode with Dragica. 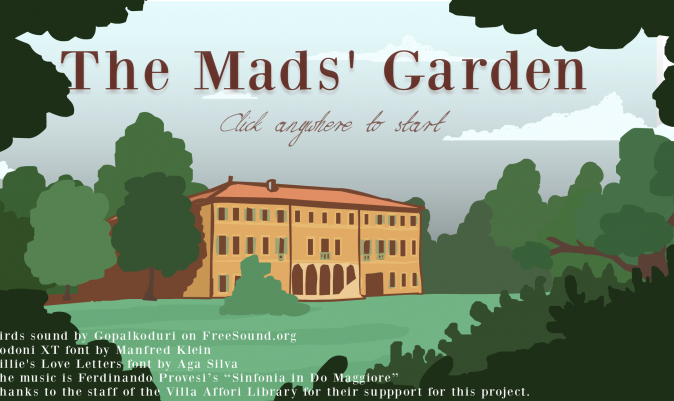 Inspired by a Villa which houses a library today and offers the opportunity to do historic research about it, we develop the game "The Mad's Garden". The Player travels 200 years back in time and plays the poet Allessandro Manzoni, who lived in the Villa then. Inspired by a couple of objects in the Ballroom of the Villa, Alessandro writes poems to pass on to one of the persons present in the Ballroom. Put into an envelope the question is, whether the person receiving the poem will like it or not. To see the story behind, go and watch the episode with Pietro Righi Riva. Inspired by the Viennese graffiti scene and the saying "too many cooks spoil the broth" the game "Uebermaler" was developed. 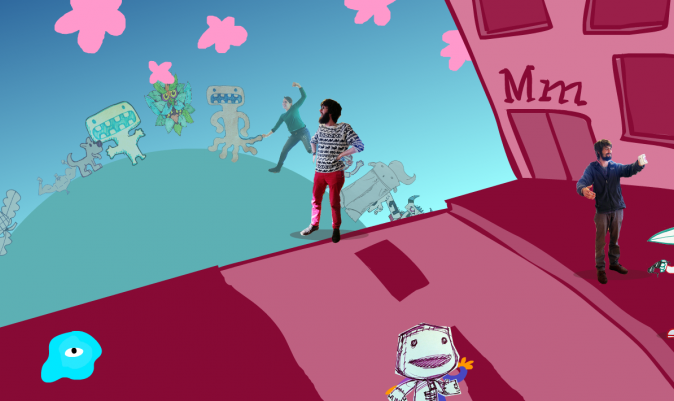 The aim was to create a game that is fun to play and allows a mixture of art styles to become part of it. In this game three players can jointly create a new painting or embellish an already existing one. One person controls the horizontal movement, the second the vertical movement and the third person decides when to draw and which color to use. To see the story behind, go and watch the episode with Broken Rules. The City of Lodz is changing - constructions and reconstructions everywhere. On our Tour around Lodz we pass by a former hotel, which is being torn down - but so far only the first half is done. Inspired by this strange location and the rough beauty of the city we plan to do a game about a skyscraper which is about to collapse due to an earthquake. 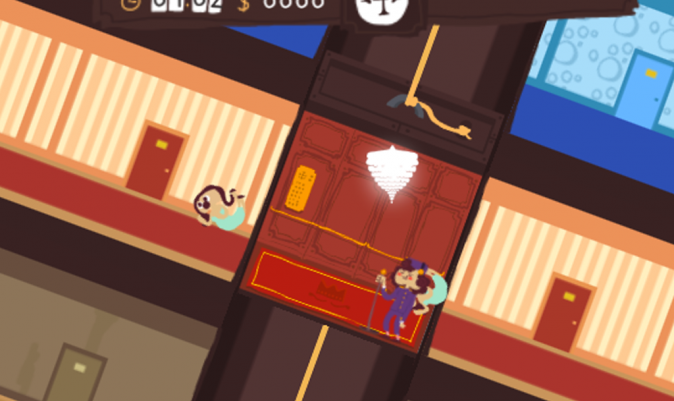 The Player plays the bell-girl who rescues people from the building by putting them in the lift and bringing them to the groundfloor. To see the story behind, go and watch the episode with Luke Spierewka. At the dawn of the day in a small park inspired by the atmospheric light the idea for the game "Employee of the day" is born. 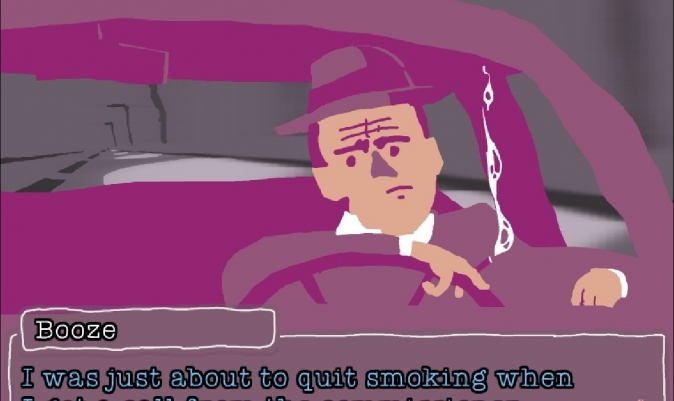 The game which has a Film Noir setting is about a police officer who is summoned to a mysterious case. 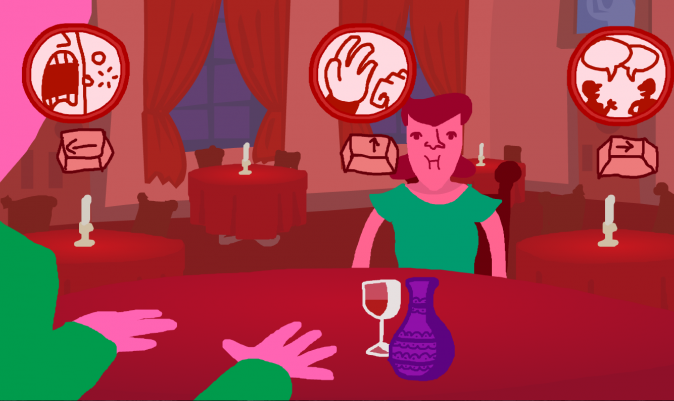 The player has to solve this case with the help of witnesses and various objects. To see the story behind, go an watch the episode with Sos Sosowski. In the sixth out of eleven games, the inspiration came in an indirect way. During breakfast Franziska actually wanted to show us an article in a newspaper, but the lonely-hearts-ads draw our attention. Fusing a discussion about the dating app Tinder and the newspaper article finally creates a game idea: Decide whether you think the person in front of you is interesting or not. If you like what you see talk to him or her and see if you succeed in making a match. To see the story behind, go and watch the episode with Franziska Zeiner. Already stop number 8 of Tour Bueno, yet the first time we are using a brainstorming technique: we draw little doodles associated with copenhagen. A random question asked by one of us will then be the kickoff for a creative concept. Doodle one: a freefalltower at a funpark. Doodle two: friendship braceletts. Doodle three: a funny bird. 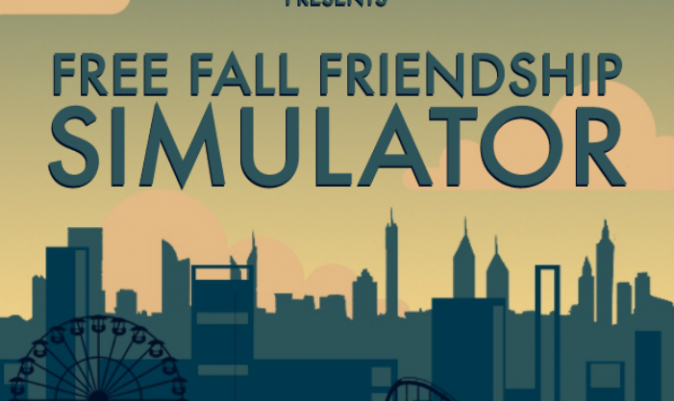 These three things put together: The Freefall Friendship Simulator is born. The aim of the game is to make a new friend while being lifted up for a ride with the freefalltower. To see the story behind, go and watch the episode with Henrike Lode. Adriaan games are always about the social interaction between players. 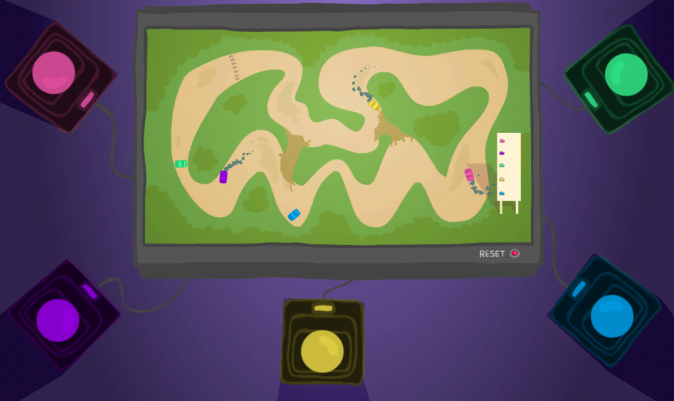 So also in the game Petit Prix, the idea was created in Adriaans apartment while our cell phones were used as cars. The start of the game jam was in Adriaans apartment but the next day we went to Antwerp to the Screen Shake Game Festival where the game was completed. The game, on the iPhone for up to 5 players on the iPad up to 11, is a small Racing - Game which all players play on one device, so they come closer to each other. To see the story behind, go and watch the episode with Adriaan. 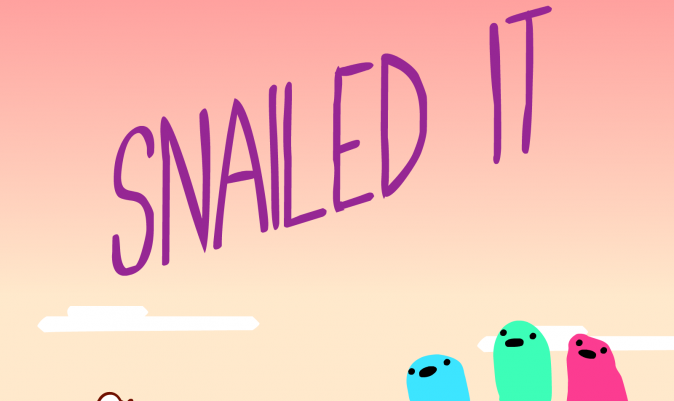 „snailed it“ the ninth game on our journey is a game for three player. Goal of the game is to move a snail to your color. The player plays the figures in the background and screams the snail into the right direction. At the beginning of the game each player selects on color. At each nodal point new chars appear to move the snail in the different direction. But each player needs different once to get to the goal. So detain the other players to push the right button and move the snail in the right direction. To see the story behind, go and watch the episode with Tatiana. Developed in one working day at Media Molecule, „Phantom Limbs“ ist the 10th game on our trip. Control a spirit walking through guildford on his way to work at Media Molecule. But be careful, everything you touch will burst and become a part of you. In the last game on our tour we have teamed up with Ed Key. 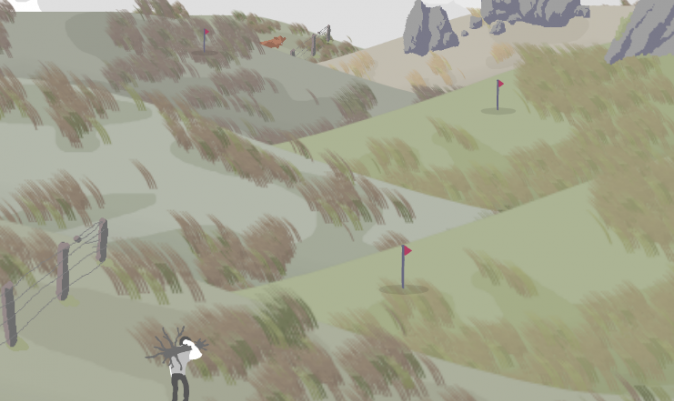 Together we tried to capture the beautiful landscape of Ed´s home Cumbria and bring it into the game. The aim of the game is to burst a tree. When, where and if at all is left up to the player. Hike through the world of Ed and let inspire yourself from the beautiful surrounding.